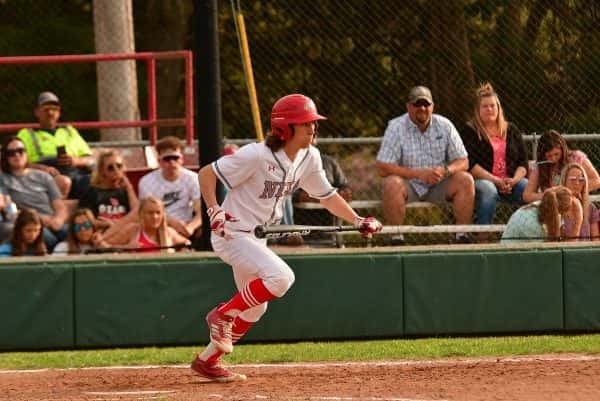 NIXA — While there continues to be added publicity surrounding his 13-1 Nixa Eagles baseball program (13-1, 5-0), head coach Jason Daughtery prefers to toss all current records out the window. 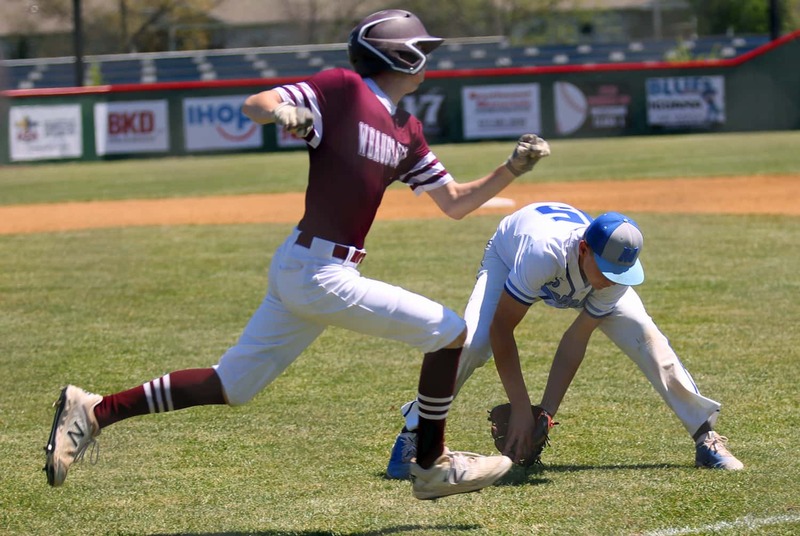 After all, records are deceiving, as the Eagles found themselves down 3-0 to rival Ozark (9-8) after the first inning of play Tuesday at Nixa. 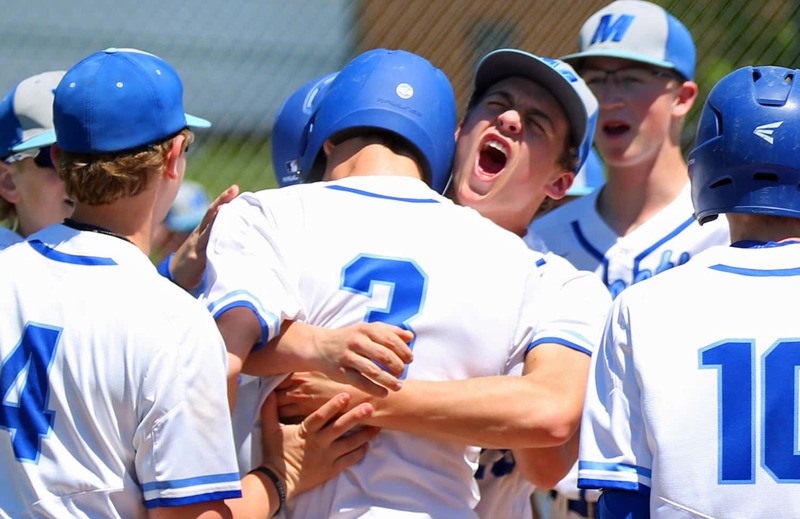 The Eagles — behind the large frame of starting pitcher Isaac Mitchell — responded as a cohesive unit down the stretch and topped off the 5-4 come-from-behind win against their cross-county competitors. 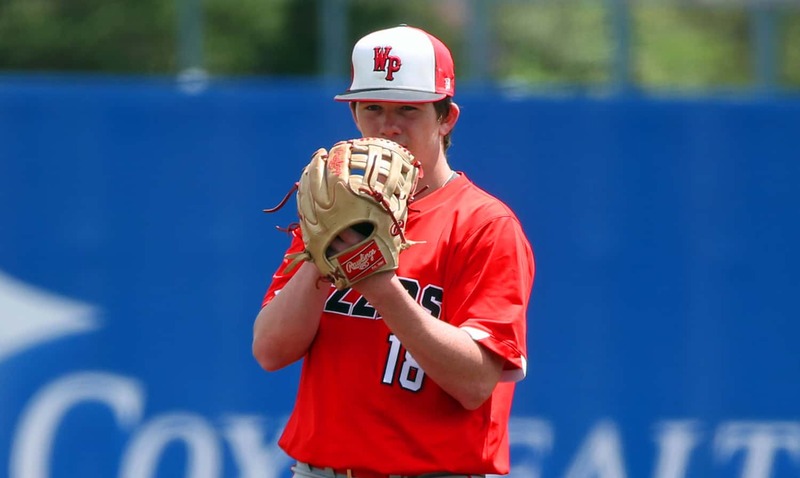 Ozark entered the tilt with a 9-7 record, and for the first few innings of play, simply wanted the win more, Daughtery said. 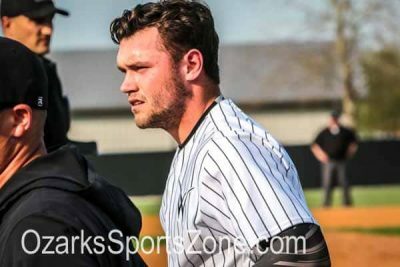 Ozark showed up hacking pitch after pitch, and as Mitchell struggled with command early on, the Tigers set the tone, as a sacrifice fly by Chandler Hodges and a two-run double by Seth Glossip created some breathing room … or so they thought. After a heart-to-heart with the coaching staff, the Eagles sent 10 batters to the box in the second inning. With the bases loaded, Bryant Avery smashed the two-run double. 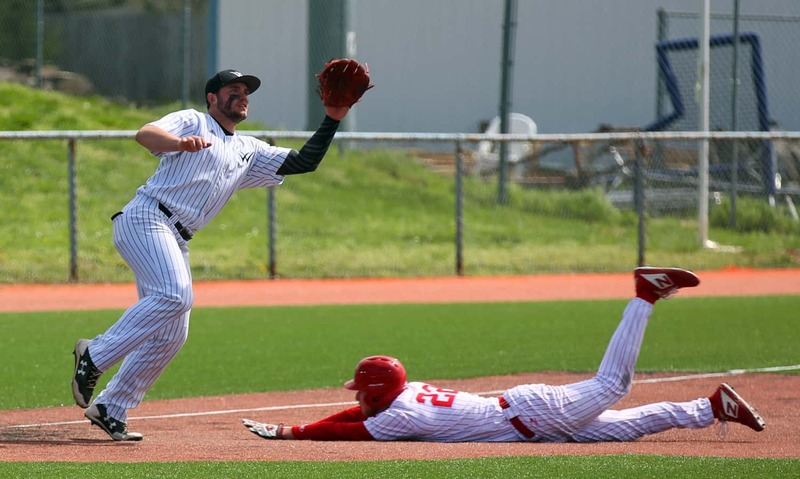 With each passing pitch, the Eagles became more disciplined and selective at the plate. 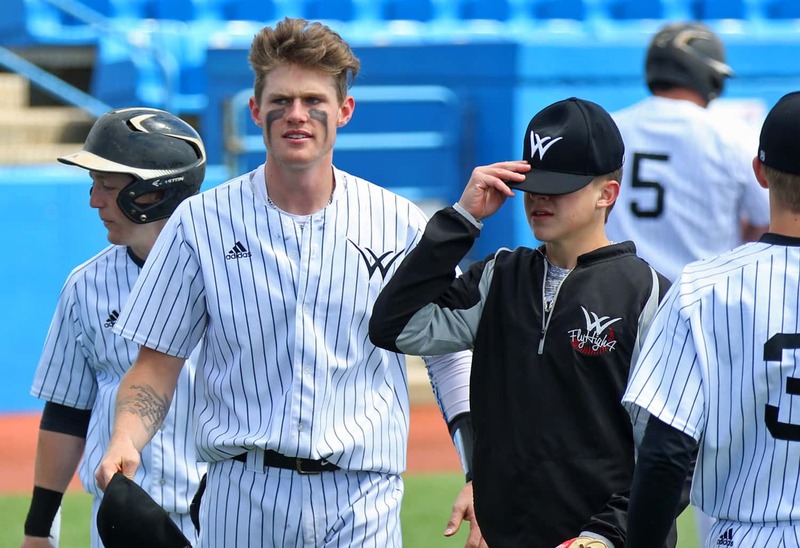 Joe Reid drew the bases loaded walk, and an error moments later plated the Eagles’ fourth run of the second inning, as they led for the first time, 4-3. As for Mitchell, leaving too much of the plate on his pitches impeded his ability to keep the opposition at bay, momentarily that is, as he settled in, allowing one run (Jake Skaggs solo home run) over the course of the next four innings of work. Mitchell echoed his coach’s sentiments after the game. As Mitchell found his groove by hitting location once his Eagles took the lead, his defense flashed the leather— closing the holes and communicating on multiple fly balls and pop-ups that required difficult angles. While the performance was far from seamless, the early adversity can be flipped into a positive. “The thing is, he hung in there. He found the zone. He settled in quite a bit. The first inning was a rough one. We were down 3-0,” Daughtery said of Mitchell. Mitchell hurled nearly 30 pitches in the first inning as Ozark continued to foul of pitch after pitch — working deep counts. An infield error plated the Eagles’ final run of the night during third-inning action. Ozark committed two errors — both of which led to runs. Junior Ace Akers closed out the win with two strikeouts in the seventh inning. Ozark pitcher Riley Sundlie started the game, allowing four runs in his 2 2/3 innings of work. Hunter Tennison came in and allowed one run in third inning. While the Tigers took the loss, Daughtery said their pitching gave his offense fits all night.